Despite a new owner and name, the Fruitvale restaurant stays true to its Taqueria Campos days. 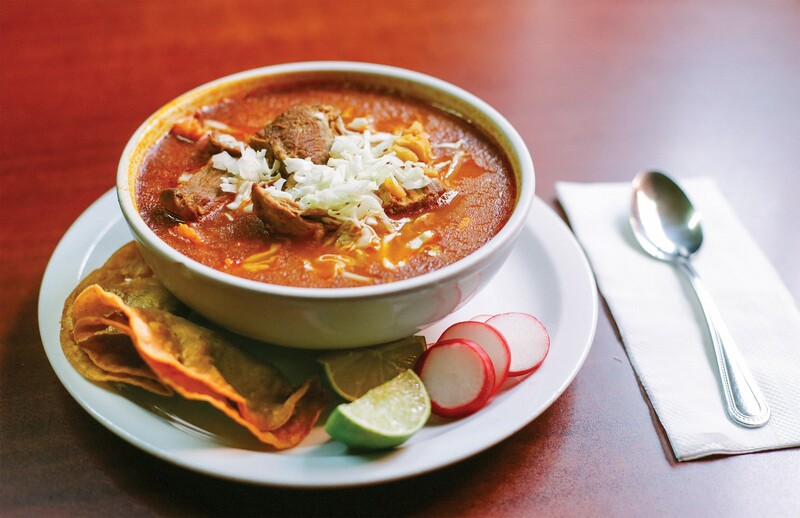 The pozole is rich and meaty — no extras required. For a dozen years, Ana Maria Campos ran a beloved taqueria in a tiny orange building next to a park just blocks from Fruitvale's hustle and bustle. Her menudo was particularly legendary. Ten years ago, then-Express food critic John Birdsall praised the tripe soup as the best in Oakland. When Campos decided to retire, the family turned to her nephew, Nolberto Martinez Jr., who at the time was working a corporate job with full benefits and a respectable salary. He had dreamed of opening his own restaurant, and that day arrived. Last year, he dove in. It might have been a bit jarring for devotees of Taqueria Campos to suddenly see Martinez Jr. instead of Campos. They were accustomed to the much smaller, more grandmotherly and reassuringly familiar Campos, and here appeared this loud, gregarious, Mexican-American dude in his 30s with a different last name and a tendency to say "bro" to English speakers. But Martinez Jr. loved Taqueria Campos — that's why he ultimately decided to buy it. He changed the name to La Casita, in part, because he doesn't share his aunt's last name but also because so many longtime customers already called it "La Casita" — it looks like a little cottage and eating there feels like home. He also hired a muralist to bring more life to the orange exterior, tended to some much-needed repairs, and added a fried quesadilla to the menu. Otherwise, La Casita is pretty much the same as Taqueria Campos. The kitchen team stayed on. The menudo still draws crowds — sometimes the wait for one of La Casita's few tables can last an hour on weekends. Like his aunt, Martinez Jr. doesn't take any shortcuts. Everything is made from scratch. The hominy in his pozole isn't the canned kind you find in so many Fruitvale restaurants. And the tortillas are pressed to order — they're thick but soft, golden-hued, and positively glorious. Whispers of these tortillas brought me in for the first time. The complimentary plate of frijoles dusted with cotija immediately won me over. As soon as Martinez Jr. dropped off my order, I was charmed. "It's party time," he boomed. Indeed, it was. These handmade tortillas transformed an otherwise standard taco-eating experience into something special. The meats were solid, too — the tripe achieved a great crispy-chewy texture and the chicken was meltingly tender. But the most memorable was the suadero, in part because not too many Oakland taquerias carry the cut, which is located between a cow's belly and leg. Martinez Jr. cooks it for three hours before crisping it up to order. Since La Casita is known for its menudo, I wanted to see how the rest of the menu stacked up. But I couldn't try many more of the meats because half of the listed options were frequently sold out. Martinez Jr. said that's because he doesn't like keeping too much on hand at a time, and he doesn't believe in the freezer. "I'm very picky about that — about making things fresh," he said. Fair enough. The weakest item I tried was the burrito, which wasn't bad — there are just so many better ones nearby. I'm accustomed to being disappointed by chilaquiles — so many places start with chips instead of tortillas and the dish grows soggy within minutes — but La Casita's version satisfied. I do prefer runny fried eggs on top, though, and the default here is to scramble them with the tortillas. It quickly became clear that La Casita is, indeed, all about soup, particularly the staples of Jalisco, where the Campos family is from. My favorite was the pozole. Instead of canned corn, it starts with nixtamal, which soaks for two to three hours before meeting other ingredients for a long simmer. By the time the massive bowl gets to your table, the hominy kernels have developed an amazing texture and flavor, aided by a generous amount of pork and chile. The limes, oregano, and other extras add flavor, but the pozole is already wonderful on its own. Oh, and it comes with two crispy, deep-fried tacos filled with morsels of pork. And three of those handmade tortillas. All together, it's one of the best deals in the East Bay. For something meatier, La Casita's birria is also a superlative rendition. You could opt for beef, but the goat gives it earthiness and funk. You could also order it dry with beans and rice, but then you'd miss out on the broth, which glows red with chile-infused power. 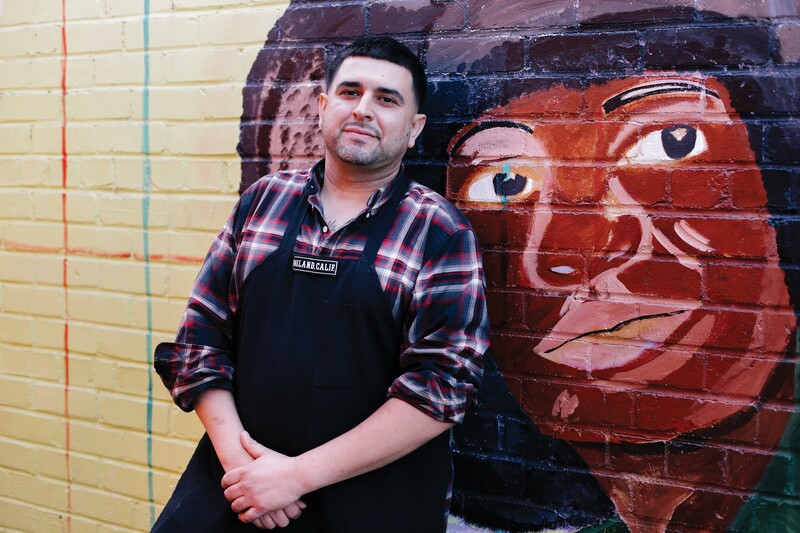 Nolberto Martinez Jr. recently took over his aunt's restaurant. Martinez Jr. grew up in restaurants, and it shows. In 1969, his grandma opened La Estrellita Cafe, one of the East Bay's earliest Mexican restaurants. He remembers helping out his grandma as a kid, cleaning and bussing tables. Now, he's come full circle. He added catering and a taco cart to the taqueria's repertoire. Business has picked up so much recently that he's looking for a bigger space. On the weekends, his brother-in-law, wife, nephews, and even 3-year-old daughter all help out. Now, he's trying to impart a strong work ethic onto his two nephews. "These kids don't want to work no more," he said, laughing and sighing at the same time. "I see my grandma in me now." Hours: Fri.–Sun. 7 a.m.–5:30 p.m., Mon. 7 a.m.–2 p.m.